Home / Technology updates / How you can buy Bitcoin with the Credit card. Should you buy with a Credit Card or not? How you can buy Bitcoin with the Credit card. Should you buy with a Credit Card or not? We’re aware of the current Condition of Digital Currency Bitcoin. It has been lowest in weeks. After knowing you may think to buy Bitcoins before it gets late. Bitcoin may go higher in the upcoming weeks or days. If you believe in Digital Currency and have been thinking to buy then this is the best time to get you in in the Cryptocurrency Market. Actually, there would be a big loss if you buy Bitcoins even you don’t have enough money to bear the loss. there is no fear of lose with investing some money you can afford easily. People have been using their Credit cards to buy Cryptocurrency. It is completely up to you what you are really going to do because buying Bitcoin using your credit card can be safe as other methods, but it should be kept in mind that it can also be downright dangerous. We’re going to discuss with you the important points you should be aware of before buying Bitcoin using your Credit card. 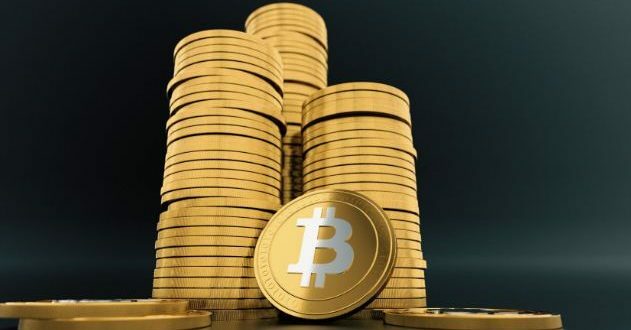 Now you are going to learn how you can buy Bitcoin using your credit card but you should be aware of that it is just simple as buying Bitcoin using your Debit card or as people pay directly from their bank account, but it has a few Extra restrictions. There is a most popular name among Digital Currency Exchange known as Coinbase. it will gladly accept your Credit Card. Coinbase only accepts Mastercard and Visa. Coinbase will not accept your American Express Card. This Company charges a 3.99% satisfaction fee, but that applies to both debit and credit card purchases. If you have Amex then you should try Coinmama, it is another famous Exchange that will Charge 5% or higher on transactions. CEX IO and Bitstamp these Currency Exchange are also accepting Mastercard and Visa. you might want to know Which Banks and Credit Cards(CC) can Support Cryptocurrencies? It is not a harder work to find a place to buy Bitcoin but the harder work will begin when you make sure that credit card company or your bank is actually ready to verify the purchase. If these are not willing then it will not go through and you will get nothing. When we talk about Credit Cards then Mastercard and Visa both are allowing cryptocurrency purchases. American Express can also be supported but it has a limit of $200 per day and $1,000 per month. You can also go through Chase because it is allowing you to buy Bitcoin ut you will have a difficulty in finding an Exchange that takes that card. When it comes to Major Banks then the bank called Capital One, it has blocked the customers from purchasing Bitcoin Using their Credit Card, this was reported earlier this month. Citigroup and Bank of America are still allowing, but the Wall Street Journal reported that they are busy in reviewing their policies. Some banks have declared that some sales may get rejected, TD Bank is one of them. Jp Morgan Chase is allowing Bitcoin Credit card purchases. Buying Bitcoin using a Credit card can be dangerous, do you know? Buying Bitcoin is not an easy thing because it feels like gambling. The market is not reliable. So it’s most important to invest money, a small amount of money which you can afford to lose. that is more dangerous if you’re going to buy using a Credit Card. It has been proved with the Survey which was released in December 2017 by the WSJ, the people who used a Credit card to buy Bitcoins were only 18%. Further declared by the WSJ that 22% people didn’t pay off the charges. 22% people said that they were planning to use the amount they made their Bitcoin to Cover the Cost. It may be risky to spend your whole amount in the digital Currency market or buying Bitcoin because nobody tells, Will Bitcoin go high or low? The Decision of Buying bitcoin can be a smart decision if you spend only a small amount which you will be able to afford to lose.